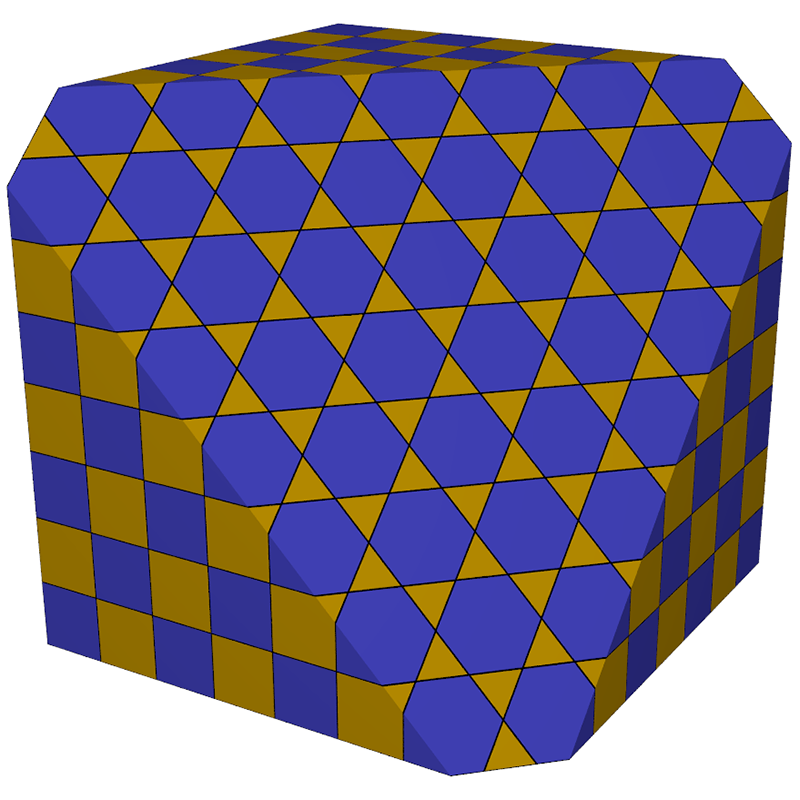 An interesting approach to the design of tiles in 2 dimensions (on a plane) is to construct a repeating tiling in 3 dimensions and then take planar slices at various positions and angles. 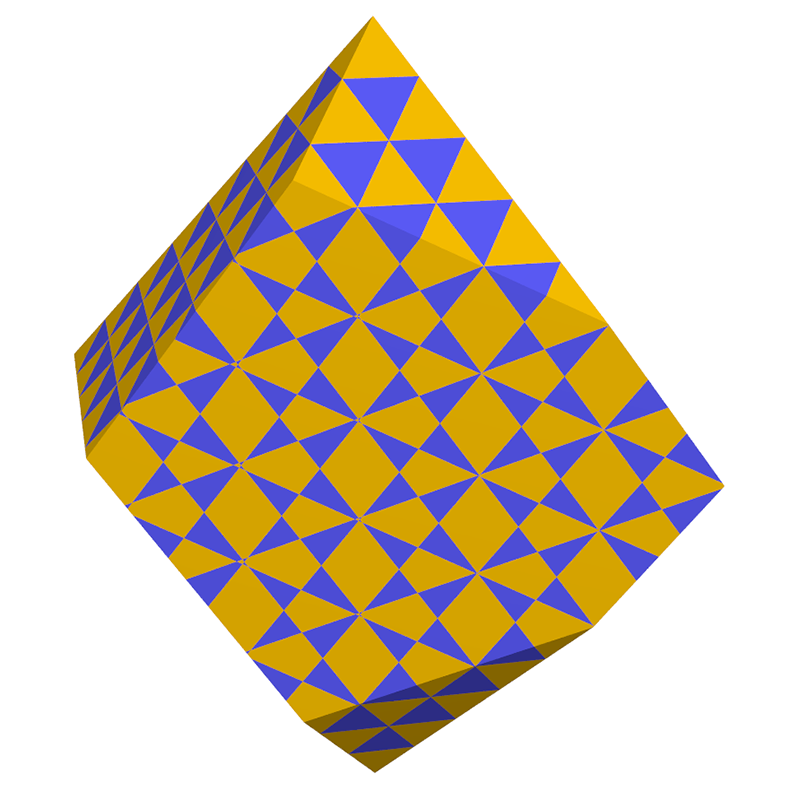 Indeed animated 2D tilings can be created by animating the cutting plane, for example changing either/or the position or normal. 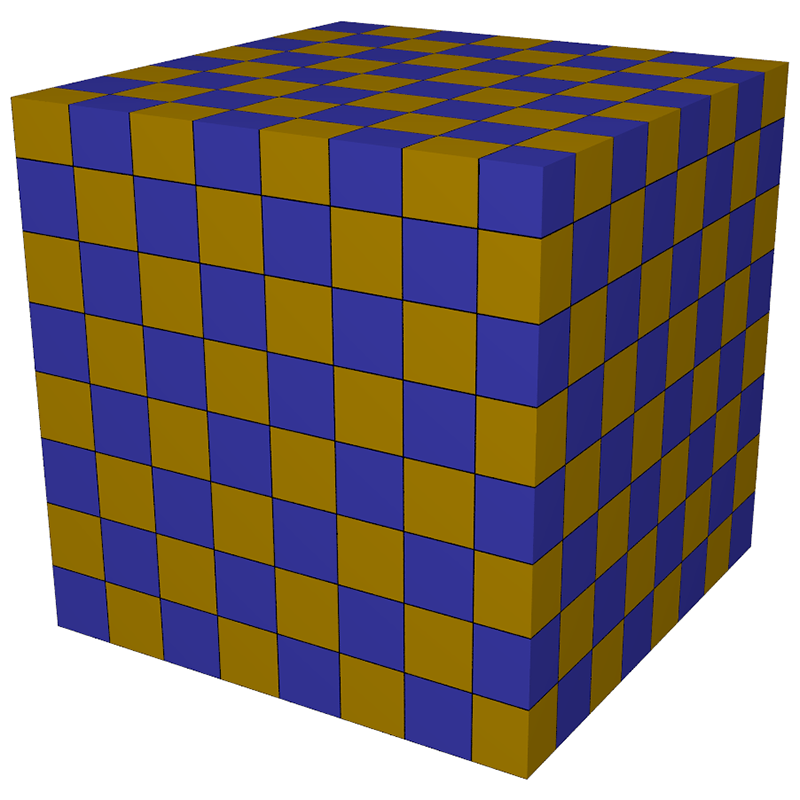 The first example is simply a cubic tiling in 3D. 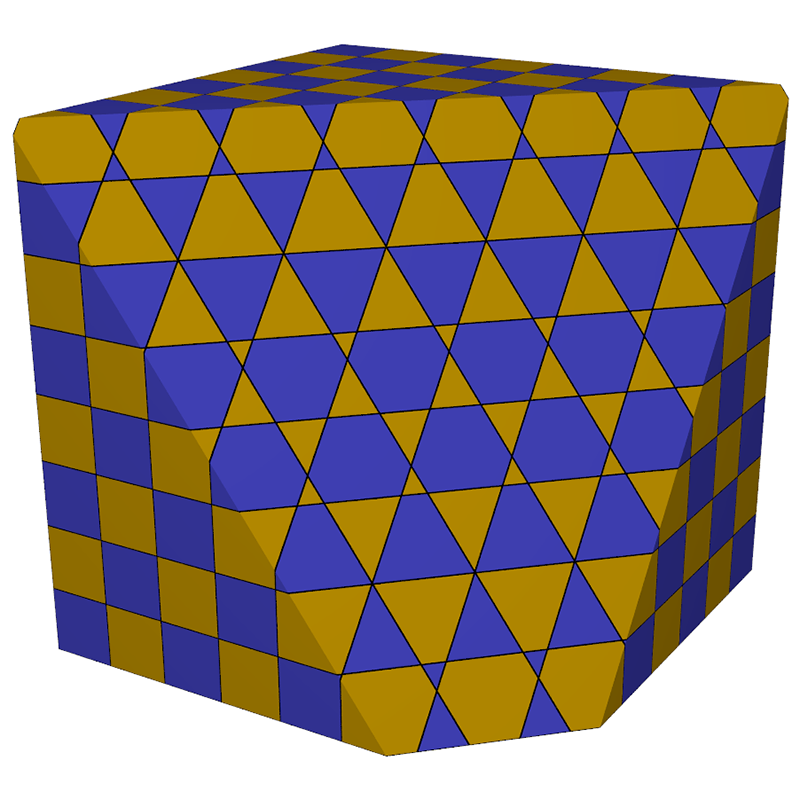 While one might initially imagine that planar slices of such a grid would be dull, the reality is far from it. 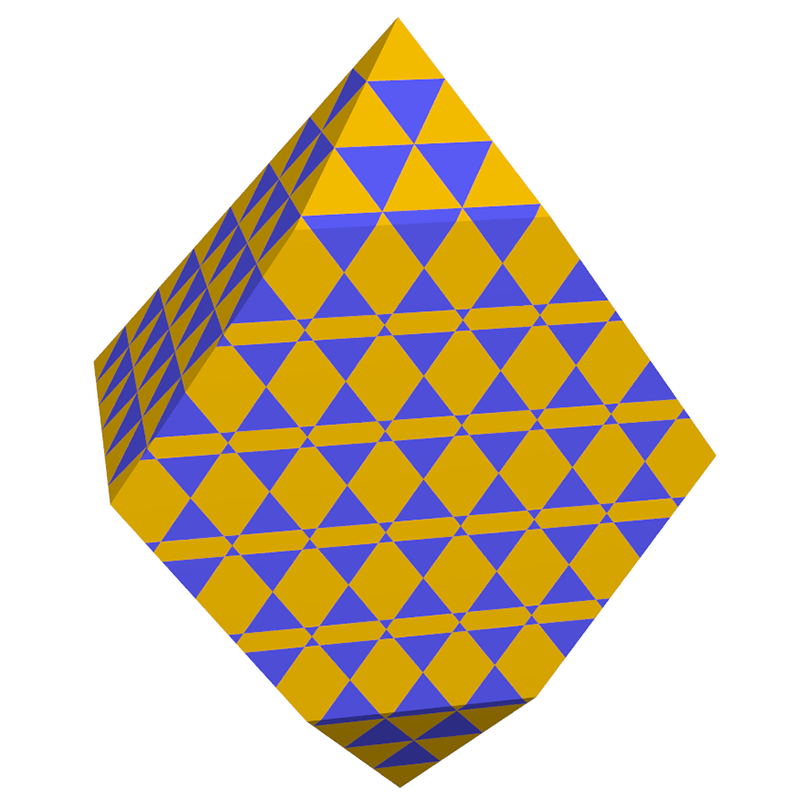 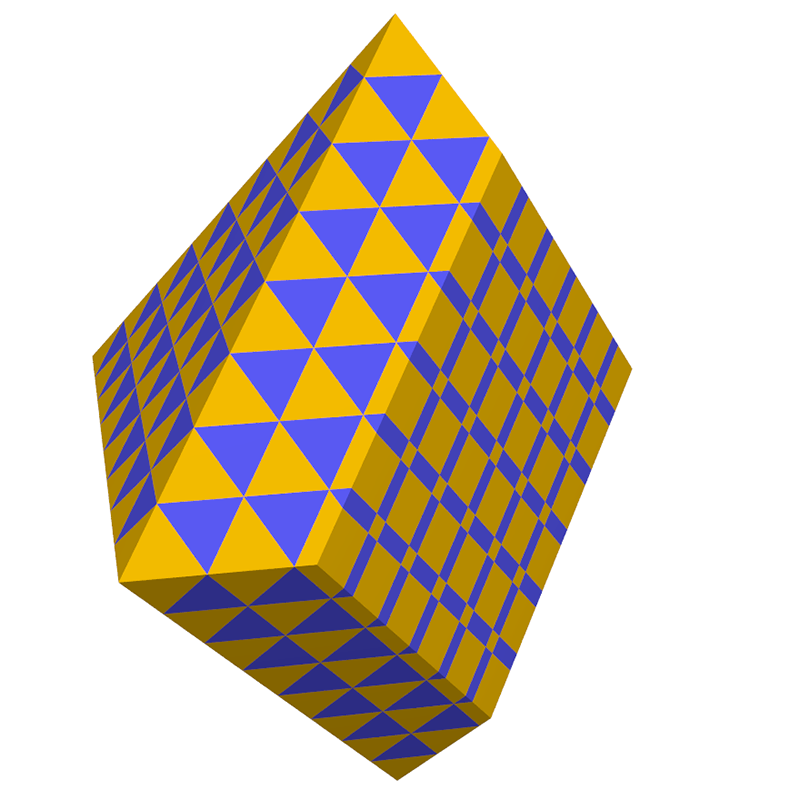 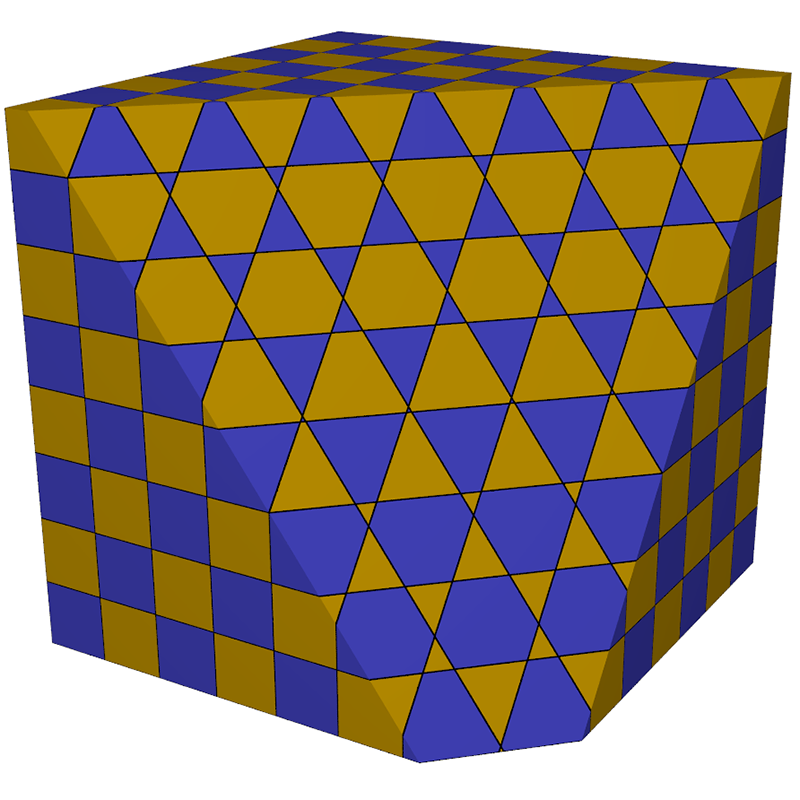 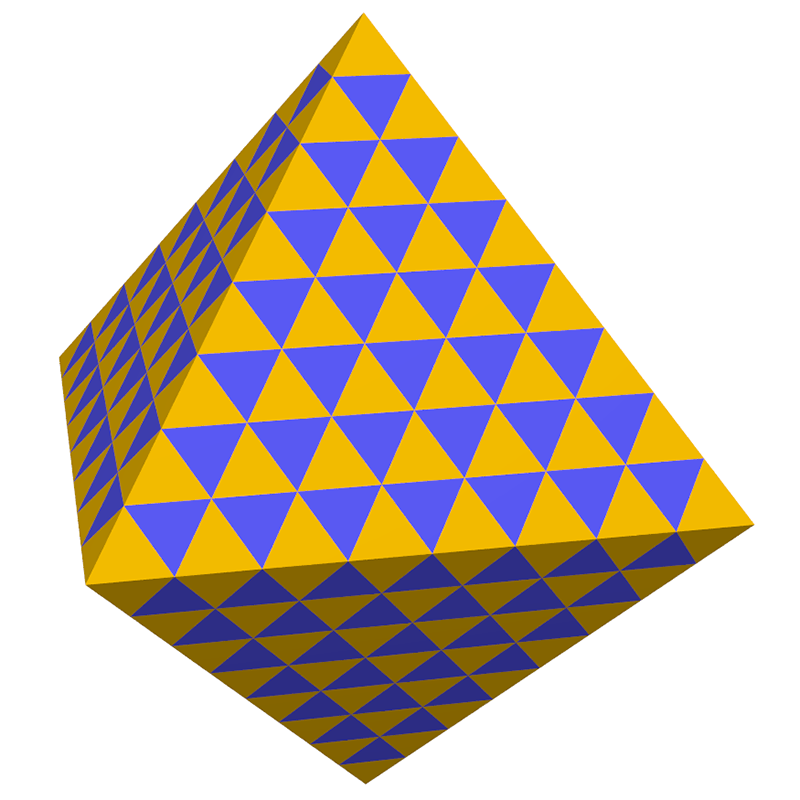 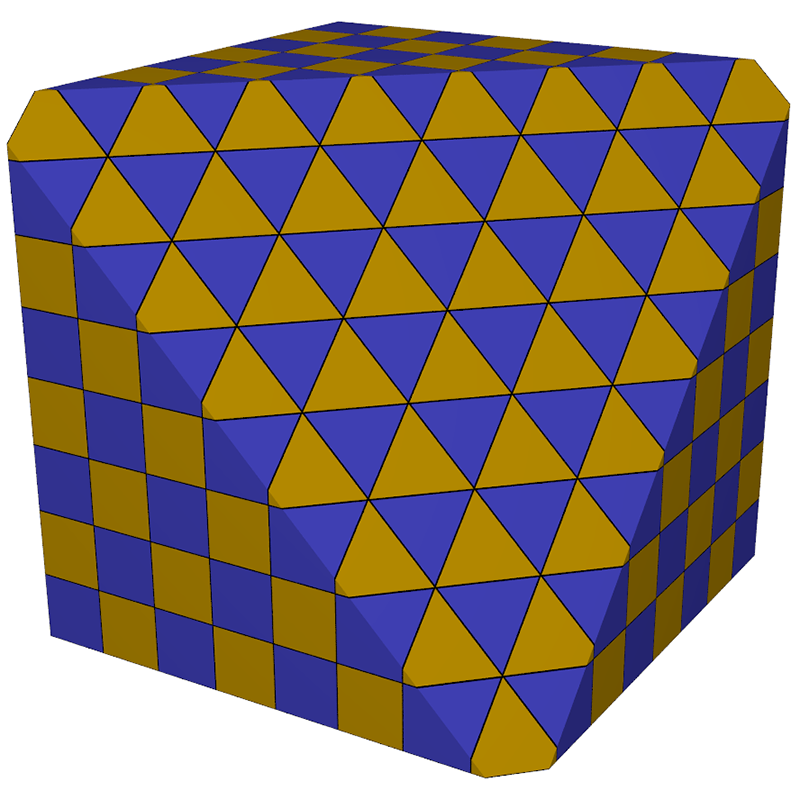 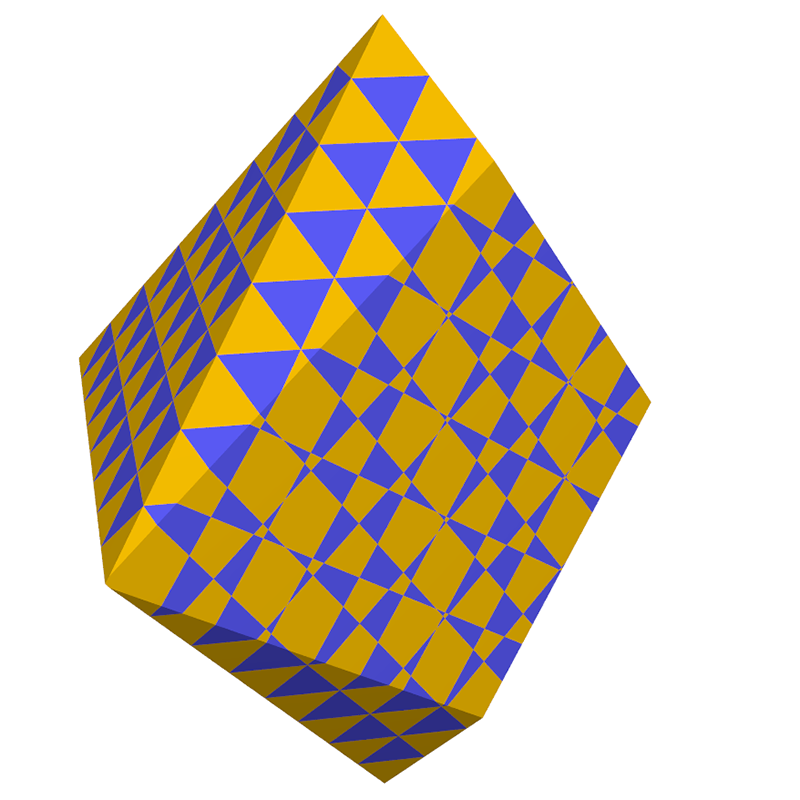 This second example are are slices of an octahedral and tetrahedral 3D tiling as shown below. 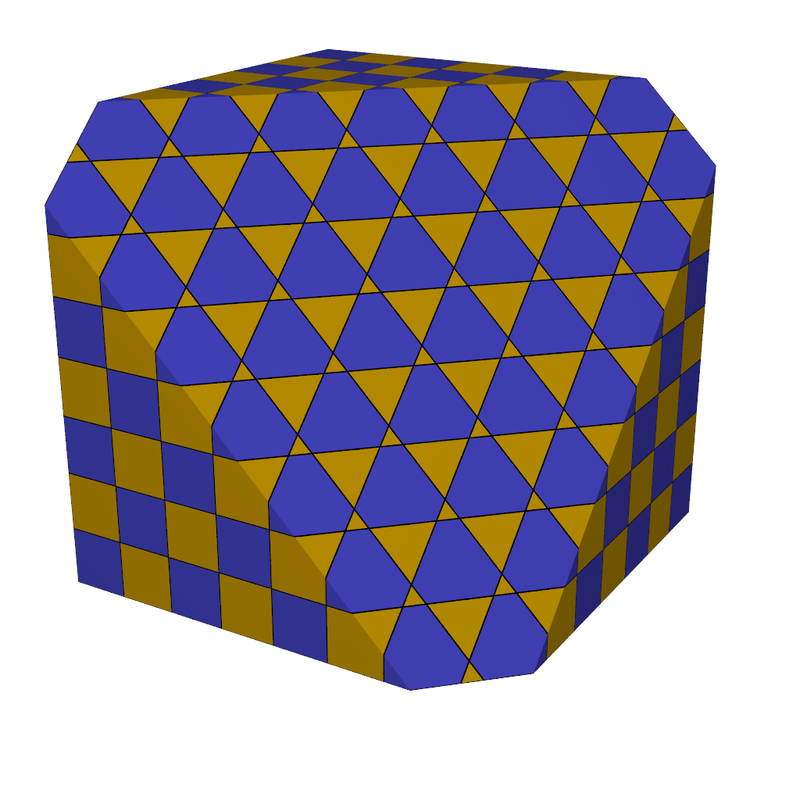 The following are samples from a rotating cutting plane.